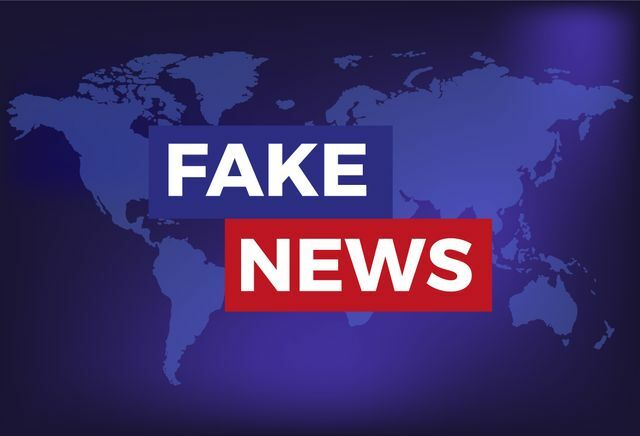 Fake news…what about fake data? “We’re gonna win so much… you may even get tired of winning,” blustered Donald Trump during his successful presidential campaign. Meanwhile, over here, we are being told that we have been out of recession for some time. The UK economy has apparently grown for 16 straight quarters, with Chancellor of the Exchequer Philip Hammond telling us – admittedly a little less ebulliently than Trump – “the fundamentals of the UK economy are strong”. The trouble is, it’s impossible to know which statistic to take seriously. Never mind fake news, we now seem to be in an era of fake stats. Look one way and reports suggest that 80 businesses are launching each hour in the UK and we’re booming. Look the other, and we can’t fund our public services, tax receipts are decreasing and the number of insolvencies are surprisingly low. And this would suggest that the economy is stagnant. We’re all drowning in a sea of conflicting, or should we say, ‘fake data’ released by quangos, think tanks, politicians and economists. The IMF says that we are the fifth largest economy in the world, but we are only ranked 170th in terms of growth rates. Is this maybe why the economy feels so flat? A wonderful episode of Yes, Prime Minister springs to mind in which Sir Humphrey outlines the Foreign Office’s “four-stage strategy” for dealing with a problem. It goes something like this: in stage one you deny there is a crisis. In stage two you reveal something may be about to happen, but make it clear that nothing should be done. In stage three you suggest that maybe something should be done with the caveat that nothing can be done. And in stage four you admit there was something we could have done, but it’s just too late now! So what is the answer? In a word: leadership. Uncertainty is a killer for everything in life, especially business. We need strong leaders to provide that certainty. Apologies, non-football fans, but Leicester City provides a great example. The players withdrew their labour from the field earlier this season because, it seems to me, their manager Claudio Ranieri had ceased to provide the leadership they needed to perform. The players weren’t consciously trying to get Ranieri sacked, but had lost confidence in his leadership. They had become uncertain. When Ranieri departed and the new manager came in, new clarity was provided, and the Foxes started to win again. The one thing that UK business needs more than anything right now is strong economic leadership. I don’t mean a Trumpian display of PR-led bravado, suggesting we are winning when evidence suggests otherwise, but cerebral, passionate leadership of genuine substance. The fact is that no one knows exactly where the UK economy is right now. It’s impossible to make an accurate judgment, maybe due to all the ‘fake data’ that’s enveloping us. Furthermore, the game-changing Brexit negotiations will make it even harder. But what we do know is that things aren’t quite firing on all cylinders and the economy won’t be completely right until interest rates start to rise again. The Bank of England cannot continue to sit on its hands. Who is that one person that you should be grateful to? Has the economy ever been run this badly?